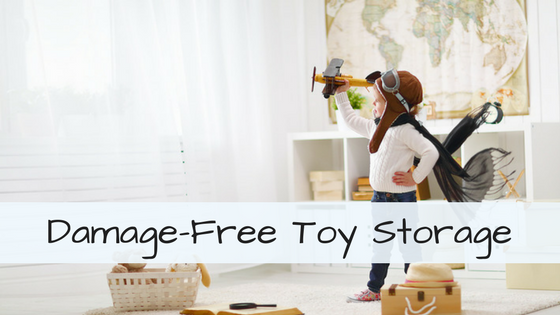 Managing toys can be a chore for any parent, but for those who live in a small space, the task takes on new challenges. This is particularly true for apartment dwellers who often have to balance damage-free solutions with practical ways to prevent their small space from being overrun by unsightly kids’ storage. You can end the guesswork and step away from the neon pink princess toybox with these solutions that will leave your space clean, trendy, and entirely kid-friendly. This idea is great for parents who don’t have the space for a clunky bookshelf, or have young children who might be tempted to dangerously use a standard bookshelf as a climbing device. These picture ledges can hold up to 5 pounds of items, making them ideal for beautifully displaying your childrens’ favorite picture books. Made in two color variations, you can find one that will fit cohesively with your overall space, while adding some playful whimsy to the room. Remember a successfully curated space shared by adults and children is a balance between sterile neutrals and chaotic colors. The best part about these shelf? 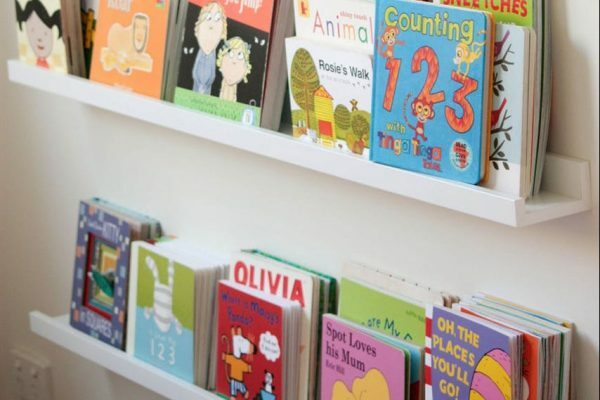 They are made to remove without damage, meaning you can place them low to the ground so your littlest can easily reach and put away their own things and easily can be adjusted later as your child grows or you need room for a particularly tall book. 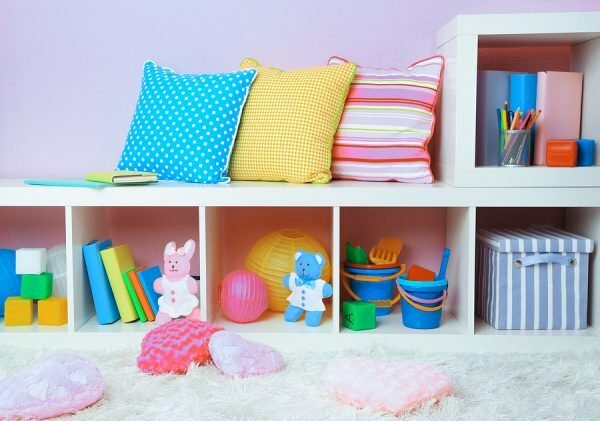 The cubby shelf is perhaps the most prominent furniture piece you will find if you start on a search for toy organization, and there’s a definitive reason for this: it works. There’s no doubt about it, children amass quite a few toys that have extra pieces, belong to a set, or inspire collections. A traditional toy box keeps clutter out of sight and mind only until your little one decides to overturn its contents looking for a purple block, a specific toy car, or Barbie’s shoe collection. This is where the cubby shelf excels, all toys are grouped together so your children can play with their toys of choice without facing the daunting task of a huge clean-up. The downside to this game-changer is the space it takes up. If you are dealing with limited space and are looking to hide the toy collection in plain sight in a communal space, consider finding cubby shelves that can do double duty. Small benches can sit in an underutilized space near the front door and serve as a mini-mudroom and storage place for indoor/outdoor toys. Or if you’re feeling ingenuitive use a cubby bench instead of chairs for a low sitting table. 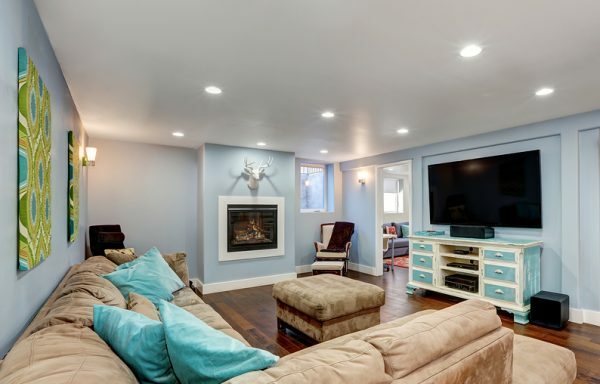 The cardinal rule of shopping for a small space, is purchase items that serve dual purposes. Making the most of your space starts with making the most of your furniture. If you are inclined to keep toys to a minimum and are opting for a traditional toy box, consider instead utilizing an antique-looking chest or modern option that can double as a coffee table and toy storage. Alternatively, opt to store a few favorites in an ottoman or inconspicuous lidded basket. Keeping the collection small, and storing it in less innocuous options will allow for a space that can be enjoyed by parents and children alike. Traditional wall hooks can damage your walls, and if you live in an apartment, can diminish the return on your security deposit. When space is an issue, using all the wall space available is key. 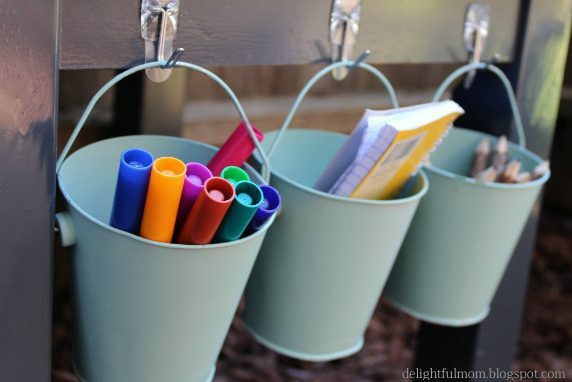 Opt for removable wall hooks to hang jackets or lightweight baskets with craft supplies. You can get creative with your use of them in order to allow for the extra coveted room on the floor that you crave. The key to a well organized small space is the ability to adapt to whatever a specific room needs. Renters need to take extra precaution when brainstorming toy storage for solutions that will ensure a maximum security deposit refund. Temporary picture shelves, cubby shelves, double duty furniture, and removable wall hooks are a few creative ideas to keep your home clutter free without sacrificing your child’s toy collection. 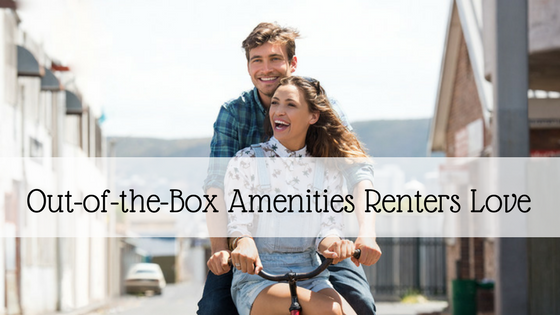 Using various options consecutively ensures that you will get the most out of the area available, and that you will constantly be ready to meet the needs of your household as it evolves. PreviousHelp! A Tenant Died at My Rental Property, Now What?